C4 UK are proud to have achieved ISO accreditation for the 14th year running! ISO 9001-2015 is the international standard for quality management systems (QMS.) A government-recognised certification, ISO specifies the requirements companies must meet with their QMS to achieve international accreditation. During a rigorous inspection, an independent awarding body assessed C4 UK’s QMS procedures against multiple industry standards. C4 UK were required to provide evidence of adherence to standards for risk management, service quality, carrier selection and ongoing staff training and monitoring. Implementation of the quality standards was found to be excellent in all areas. 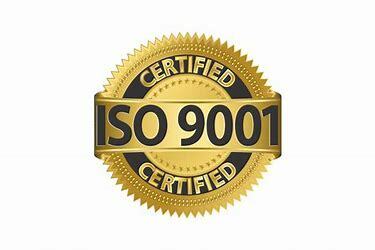 Adhering to ISO 9001-2015 standards ensures that C4 Logistics are perfectly placed to provide exceptional service for any time-critical freight requirements. To find out more about how C4 Logistics maintains exceptional quality standards or to find out how we can work with you, please visit our website at www.c4logistics.com. Founder and Managing Director of C4 Logistics, Sébastien Barth manages the international operations teams and growth strategy of C4 across Europe. With more than 20 years’ experience in premium freight services, Sébastien brings a wealth of experience to his role. Prior to C4 Logistics, Sébastien was UK Manager of Gefco Special (a former subsidiary of the Peugeot Group) and has delivered outstanding customer service to a variety of industries including the automotive, aerospace and pharmaceutical sectors. Sébastien has an MA in Business and Logistics from ESIDEC Ecole Supérieure Internationale de Commerce, Metz University in France. Stats for the week have arrived. 2 new followers and 4 unfollowers via https://t.co/Mb7oDIq63S. Followers - 3, Unfollowers - 3. I didn't know it'd be this simple. Get your weekly stats via https://t.co/Mb7oDIq63S.